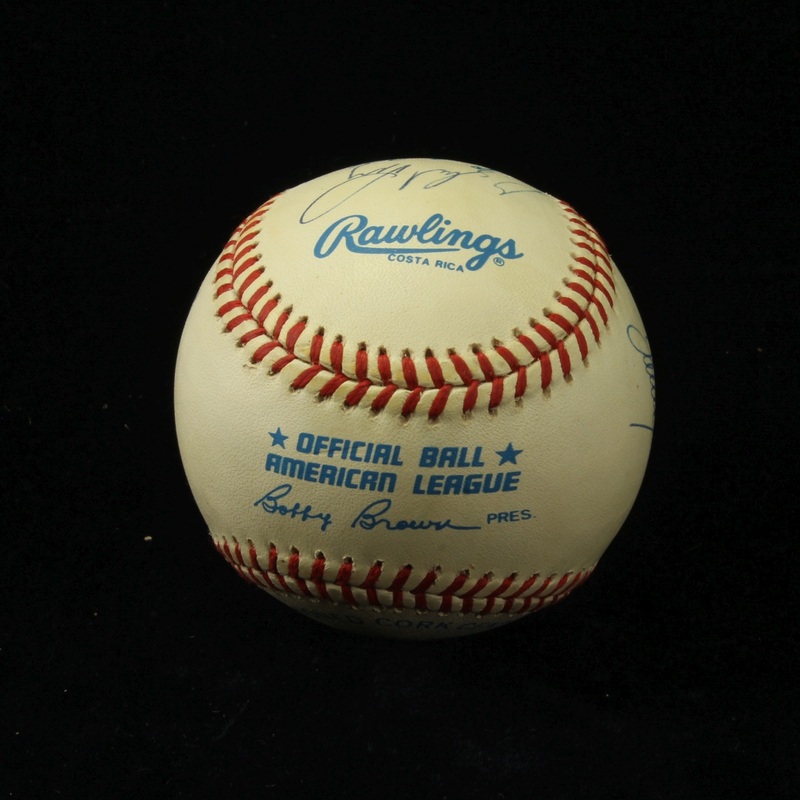 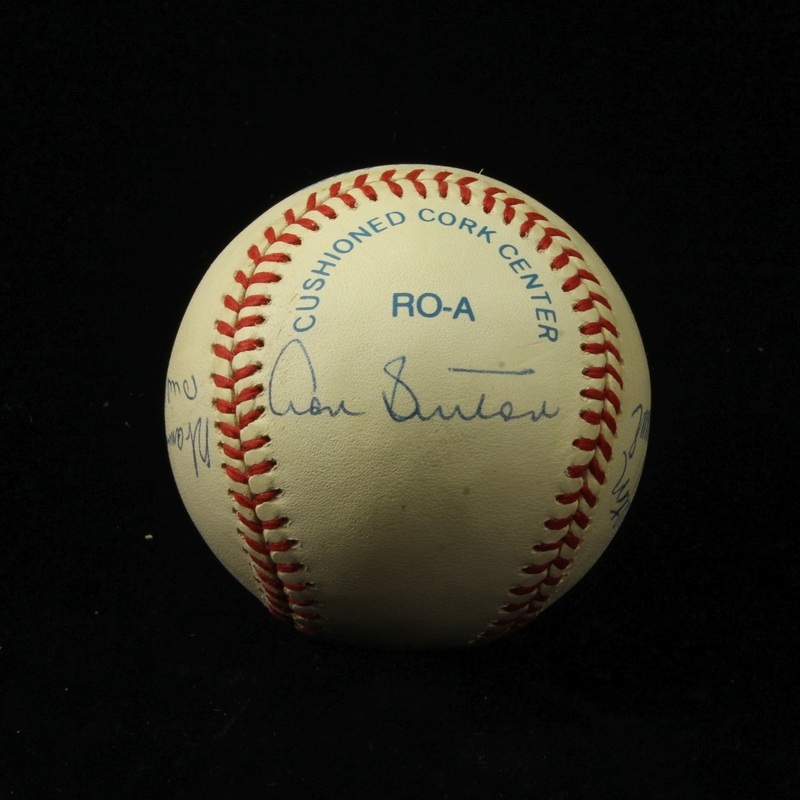 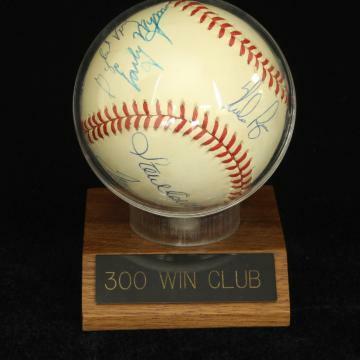 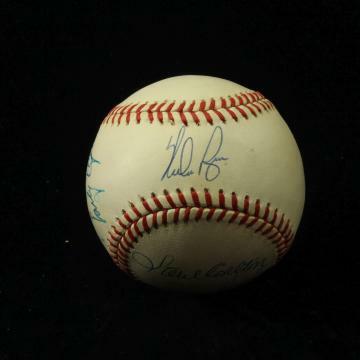 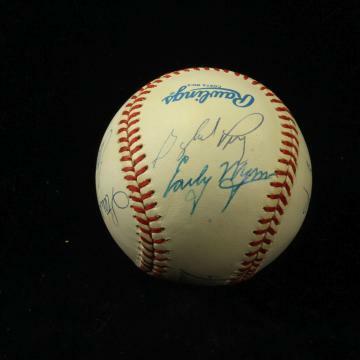 Description: "300 Win Club" autographed baseball signed by 8 Hall of Fame pitchers. Numbered 929 of a series this "300 Win Club" ball has autographs from Nolan Ryan, Tom Seaver, Steve Carlton, Early Wynn, Warren Spahn, Phil Niekro, Gaylord Perry & Don Sutton. 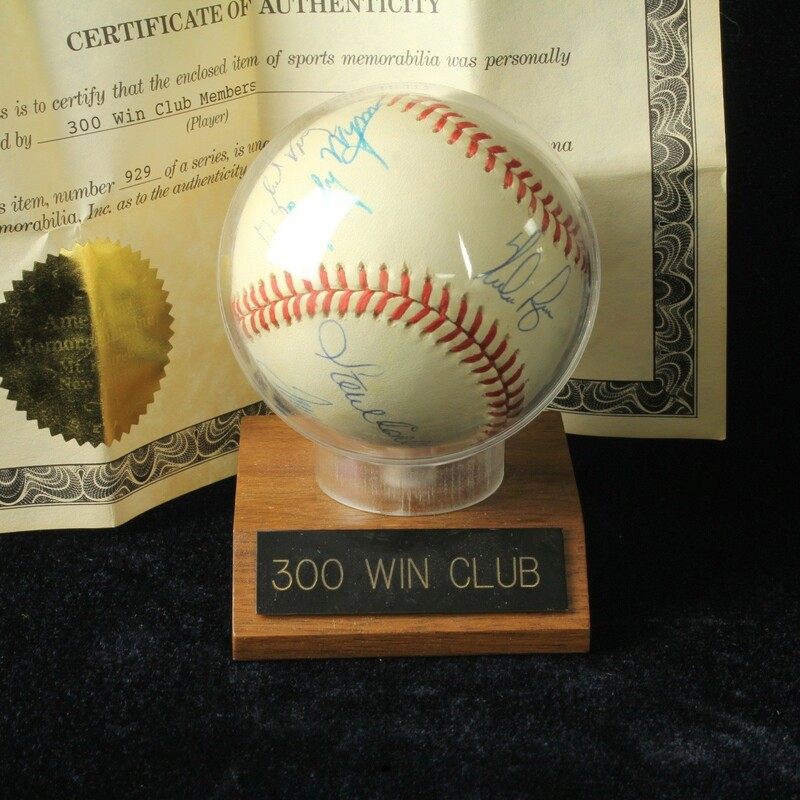 Includes Certificate of Authenticity, acrylic case, stand and name plate.